Bula vinaka and a good afternoon my fellow Fijians. Tropical Cyclone Winston has moved far to the west of our shores and is a lot weaker than it was when it hit Fiji. However, we are still experiencing heavy rain throughout our islands, and should remain on high alert for flooding in low-lying areas. While the worst of the storm is behind us, Winston has left a terrible trail of destruction in its wake. In response, our relief effort is in full swing. We are spreading out all over the country, identifying areas of need and doing everything in our power to provide our people with relief supplies and assistance as fast as we can. Our response is coordinated and involves our disaster management officials, the RFMF and the police. And I would like to pay tribute to our friends in the region and around the world, along with our local businesses and ordinary Fijians, who are rallying to our assistance in our hour of need. On behalf of the Fijian people, vinaka vakalevu. Thank you. We’ve received an enormous amount of interest from Fijians here and abroad, and others who recognize our dire circumstances, wanting to provide assistance. We need to make sure that your donations go to the right people. Therefore, all donations must go through our National Disaster Management Office. From there, we can determine how best to deliver these funds where they are needed most and ensure that they are coordinated at a national level. All overseas donations will be duty and VAT exempt. Donors simply need to obtain a letter from NDMO. So please, reach out to our National Coordinator to receive all the necessary approvals to avoid undue charges. The need is great and it is also urgent. Every Government agency is working together to deliver aid where it is needed, speedily and efficiently. We cannot afford bureaucratic obstruction and delay. We also need to avoid duplication in the provision of services. So I ask all of the various non-government organisations, religious bodies and community groups who are involved in this effort to go through the NDMO to ensure we get this assistance to the people who need it most. Unfortunately the recovery process will take time. Perhaps a long time. Almost no part of our nation has been left unscarred. And many of our rural and maritime areas bore the brunt of Winston’s fury. But we are working around the clock to address the needs of our people and whoever you are in Fiji, wherever you are in Fiji, we are doing our best to reach you. We realise the desperate position that you are in. We realise how traumatic this is for you and your families. And we ask for your patience and understanding. But as Prime Minister, I also want you to know that we will not rest until we have reached you and given you the helping hand you so badly need and deserve. We have already made a degree of progress in alleviating this crisis. We’ve identified downed power lines and have begun repairing our fallen towers. Power has been restored to some areas, but in others – including our Western Division – damage to our power network is extensive and repairs will take considerable time. Our international airlines have resumed service, as well as on major domestic routes. Our tourism industry has weathered this storm and the vast majority of our hotels and tourism services are fully operational. Repairs to our schools are underway, because I believe it is important to get our students back to school as soon as possible. Medical teams and assessment teams have been deployed throughout our islands to provide emergency health services, identify further needs and begin responding – including in our affected maritime areas. We also have also been distributing food rations wherever Fijians have demonstrated an urgent need for assistance. The destruction caused by this cyclone has also put many Fijians in a tight spot financially. So the Ministry of Finance has met with the banking industry to develop assistance packages. Banks have given assurances that existing client’s loans can be restructured in light of these events. 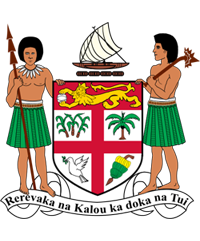 In addition, the Association of Banks in Fiji this Friday will release a new product that will allow Fijians to take out unsecured loans to repair their homes at interest rates below 5% over a five year term. These loans can be applied for over the next three months and final details will be released this Thursday. FNPF is also making $1000 available to its members for immediate disaster relief, with an additional $5000 available for home repairs. For those who have experienced even greater damage, the FNPF will also offer greater assistance through the housing allocation fund so that you can rebuild your homes and put this disaster behind you as soon as possible. In the coming days, I will also make an announcement regarding a specific package to assist those who have lost their homes or whose homes have been damaged and need repairs. Many of our other sectors still require substantial assessment before we can implement appropriate responses. But right now, the priority is on restoring essential services, and supplying our people with sufficient food, water and shelter. To keep everyone updated on Government’s recovery efforts, the Minister for National Disaster Management will be giving situation reports twice daily at 9:00 am and 4:00 pm. Please listen in because these reports will contain valuable information to get Fiji back on its feet. My fellow Fijians, I promised you this would be a time of action. It has been and it will be. It is time for Fiji to fight back, a time to stand together as one people and rebuild our beloved country. Over the coming weeks, our resolve and tenacity will be sorely tested. But it is a challenge the Fijian people are more than capable of meeting. I urge you all to do all you can to assist your fellow Fijians, follow Government’s instructions and put the needs of the less fortunate first during this recovery process. We have suffered a terrible blow and our hearts go out especially to those who have lost family members. But the Fijian spirit is alive and well and together, we will rebuild our great nation. God bless you all and God bless Fiji. 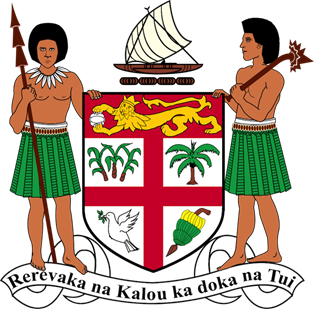 Vinaka vakalevu. Thank you.